Old Hagy Center playground (Summer 2017). 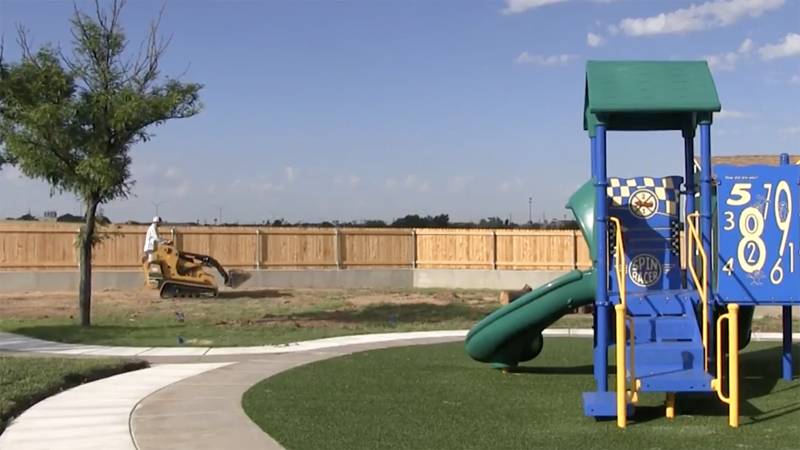 Happy State Bank has given $100,000 for a new STEM-geared playground at the Amarillo College Hagy Center for Young Children. The bank presented the gift on Thursday to the Hagy Center. The proposed canopy-covered playground will feature opportunities for the center's children to develop skills in science, technology, engineering, math, and fine arts. "Happy State Bank is a great partner and our families are very grateful for this investment," AC Education Department Chair Mary Clare Munger said in a statement. "The bank's leadership was particularly pleased to note that the Hagy Center offers child care to college students who work long hours and rear young children, sometimes on very tight budgets." The Hagy Center for Young Children opened in August 2017 and provides preschool care to children between three months and five years old.